10 x 16 Lofted Barn, 2 lofts, Would make a perfect SHE SHED! 10 x 16 Lofted Barn with 2 3ft lofts. 2 loft windows add extra light. This would make the perfect SHE SHED! Come with 5 Year warranty on the manufacturing and 30 year warranty on the metal roof. Free setup and delivery within 30 miles. Rent to own options, 36 months $185 or 48 months $167. 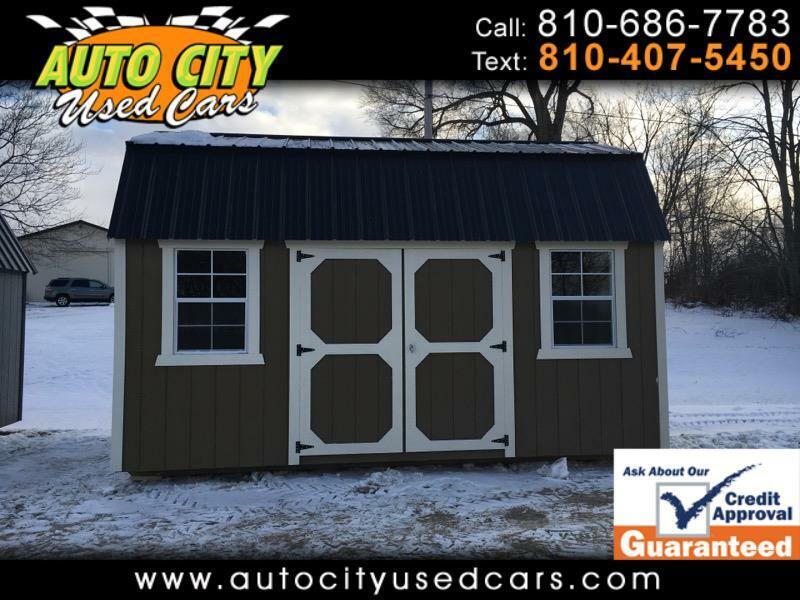 Feel free to come and take a look at all of our different style buildings that we have on our lot. Buildings can be made to your custom size and color. Call or visit us today.